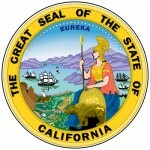 The California Statement and Designation by Foreign Professional Corporation | S&DC-PC is the form that an entity outside of the State of California must successfully file with the California Secretary of State before conducting business within California state borders. This will only satisfy the Secretary of State’s requirement for filing this document. There will be other entity’s who must be dealt with, such as the Internal Revenue Service, California Franchise Tax Board, and whatever commission holds jurisdiction over the professional services offered by the forming corporation. Generally, it is left up to the Incorporator to be fully abreast of the laws that must be followed and the requirements that must be fulfilled. This statement may be mailed in or filed personally. When filing, you must include a Certificate of Good Standing from the origin state dated within six months of the filing date along with the original completed statement, the appropriate fees, and any required documentation for filing. The filing fee will depend on the nature of the corporation being formed. If this is a nonprofit corporation the filing fee will be $30.00 however if this is a for-profit corporation, filing fee will be $100.00. If filing in person, there will a $15.00 service charge. Normally, for filings that require a payment of $25.00 or more a free copy of the filing will be dispensed however for a $5.00 certification charge, you may have this returned copy certified. If filing by mail, you must mail the submittals to Secretary of State Business Entities, P.O. Box 944260 Sacramento, CA 94244-2600 or, if preferring to file in person, bring the submittal to Secretary of State 1500 11th Street, 3rd Floor Sacramento, CA 95814. After filing, you will have 90 days to submit a Statement of Information (Form SI-350). This may only be done after the statement has been successfully filed. Step 1 - The first item, labeled “Corporate Name,” report the name of the corporation as it appears on the Certificate of Good Standing obtained from the origin state’s Secretary. If, in California, the corporation may not use this name then state the specific name the forming professional corporation will operate under in California. The wording may be similar to [Corporate Name on the Certificate of Good Standing] will be operating in the State of California as [Name the corporation will operate under]. Step 2 - In the “Corporate History” section report the origin state the corporation. Step 3 - In the “Service of Process” section report the registered corporate agent’s full name in Item 3a. If this corporate agent has not been registered before then enter this entity’s full address on the space provided in Item 3b. Step 4 - You must list the address of your Principal Executive Office in Item 4a. Then in Item 4b, report the full address of the Principal Office In California. If there is a Principal Executive Office address that differs from items 4a and 4b, then report this address in item 4c. Step 5 - The Corporate Officer authorized to submit this statement must sign and print his/her name at the bottom of the page then enter his/her title. Step 7 – You must file Form SI-350 within 90 days of filing the S&DC-PC. You may do this by downloading the form here: Statement of Information and filing by mail or by visiting: https://businessfilings.sos.ca.gov then filing electronically.